Some of my favourite quotes! At a recent curriculum mapping professional development day, math teachers from across my district met to map out their math curriculums. It was very interesting to disucss thoughts on “Where to Start” with my colleagues. How do you plan for next year? What do you need to consider when planning? How do you translate the big ideas into lesson plans? Teacher Hub: How to create a curriculum map. 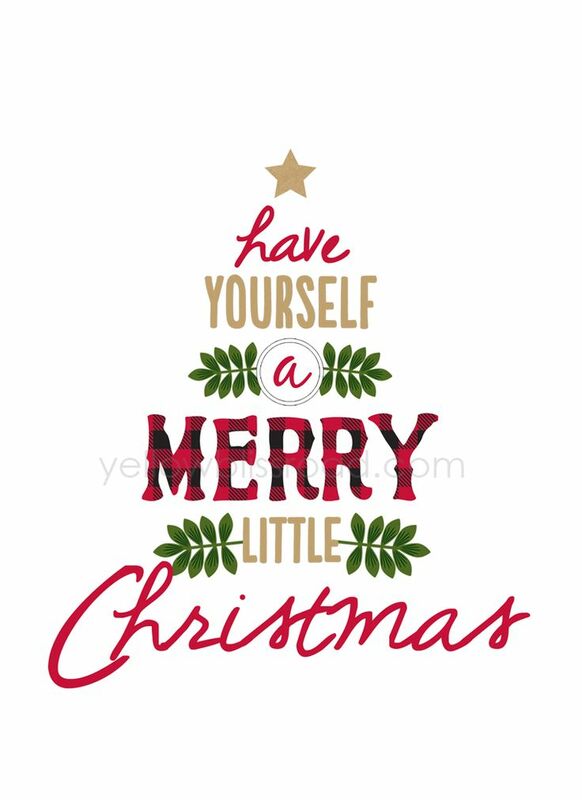 At Christmas, how will you perform the inverse operation to exponentiation? What do algebraic geometers study at Christmas? Where do all of Santa’s maps go to? Why does Father Christmas equal minus Christmas Father? How does Santa solve systems of simultaneous congruences? Using the Chinese Reindeer Theorem. Why doesn’t Gödel’s constructible universe exist at Christmas? Why isn’t every man in a red suit with a beard Father Christmas? Because correlation doesn’t imply Claus-ality. Back to the Basics-Facts that is! 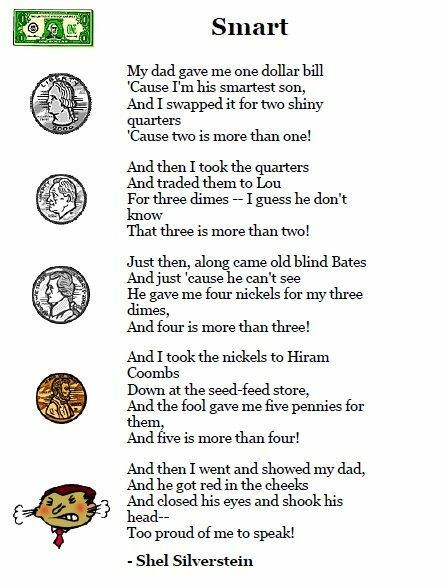 I have had a lot of parents asking me about how to review basic facts with their children. In my classroom I use a variety of strategies from the traditional flash card method, to mad minutes, to dice and card games, to online games. 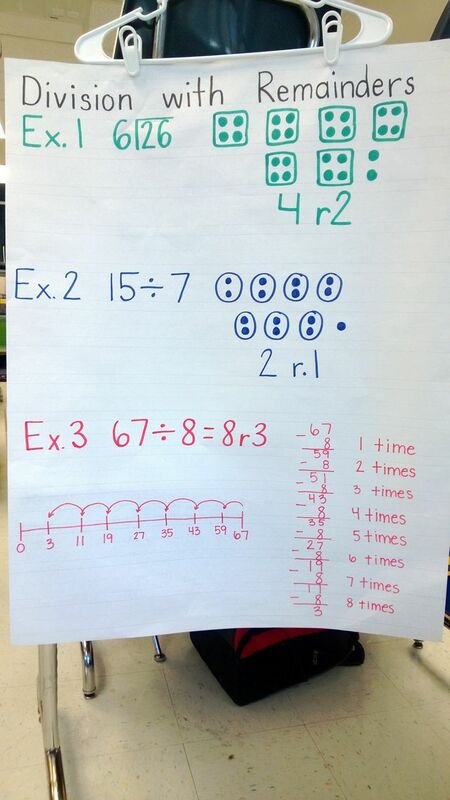 Many students still find drill an effective way of learning their basic facts. Other students find more untraditional methods work better for them. Dice games, card games, oral review, computer games…so many choices. Regular review is crucial and now more than ever before there are many resources available to help get this review done! One of my favourite resources is the website engagingstudents.blackgold.ca that my district has made available for students and parents (and teachers). This site is rich with resources not only in the area of mathematics, but all other subject areas as well. It is well organzied by Division, Grade, and Curriculum Strands and Concepts. Check it out if you haven’t yet had the chance to. Hoping everyone has a wonderful March! 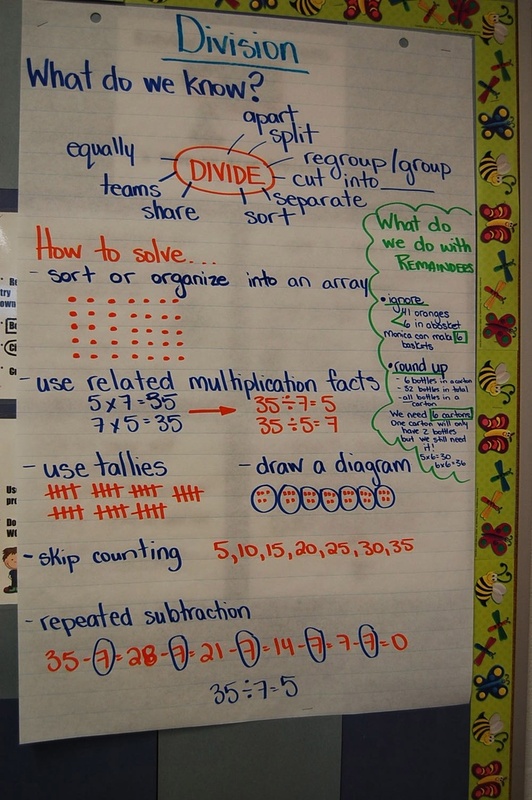 We continue to work on trying to increase our basic fact retention of multiplication and division facts in our grade five classroom. Students are enjoying going back to the old fashioned flash card method like mom’s flashcards! 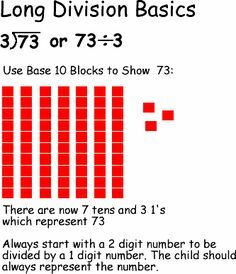 I recently stumbled across a site that also had flashcards using subitizing and multiplication arrays. 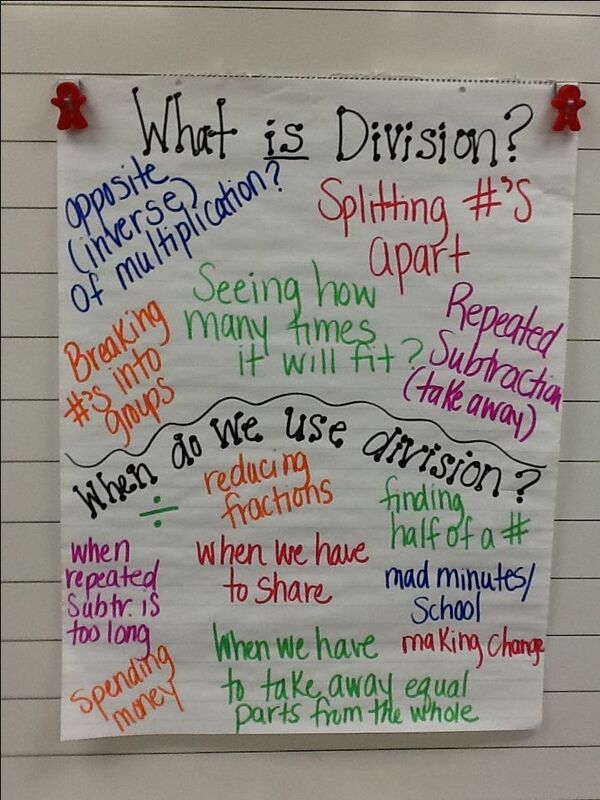 As our year is beginning to wind down, my students are still busy diving into division and learning many division strategies to help them. 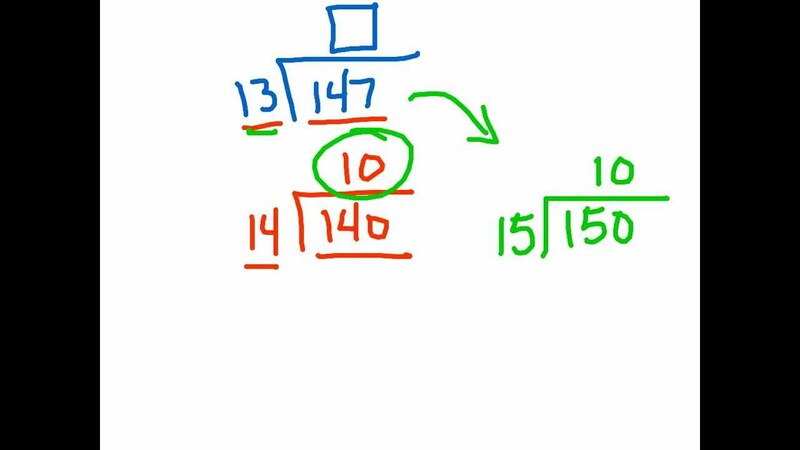 Many classrooms use the same approach when introducing students to Division. 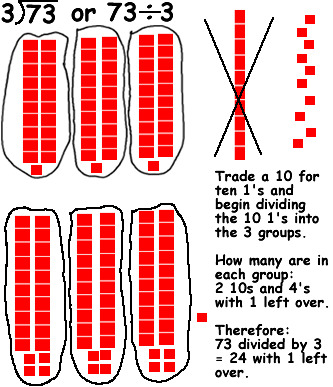 I found these two visuals on the internet of teacher’s using chart paper examples to help students discover that the world of division can be approached by many different angles. The key is to find the strategy that makes the most sense to the individual student. 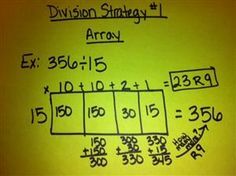 Some students who find division extremely complicated can even manage to get away with more of a multiplication / subtraction approach. 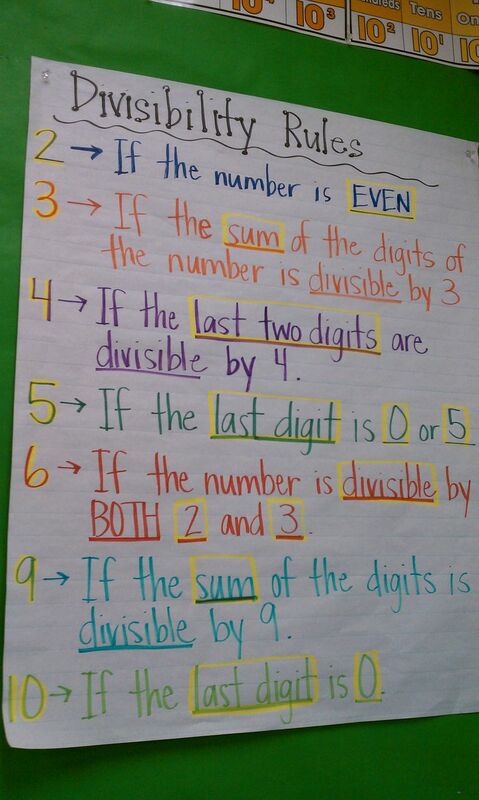 Divisibility Rules: Just a quick visual to review the rules of divisibility. 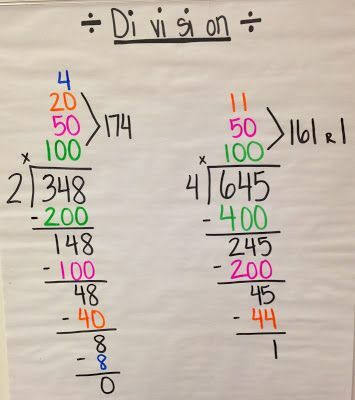 You can rename numbers to help you divide. Wishing everyone a wonderful June…speedily heading toward a joyful July! 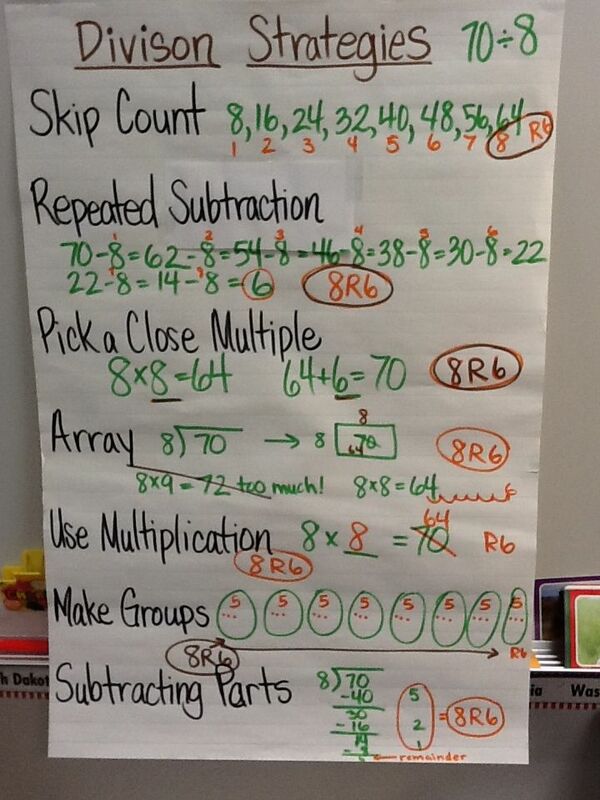 Spring Break- Home math activities to spruce up your holiday. Spring is in the air …and our school Spring Break is quickly approaching! 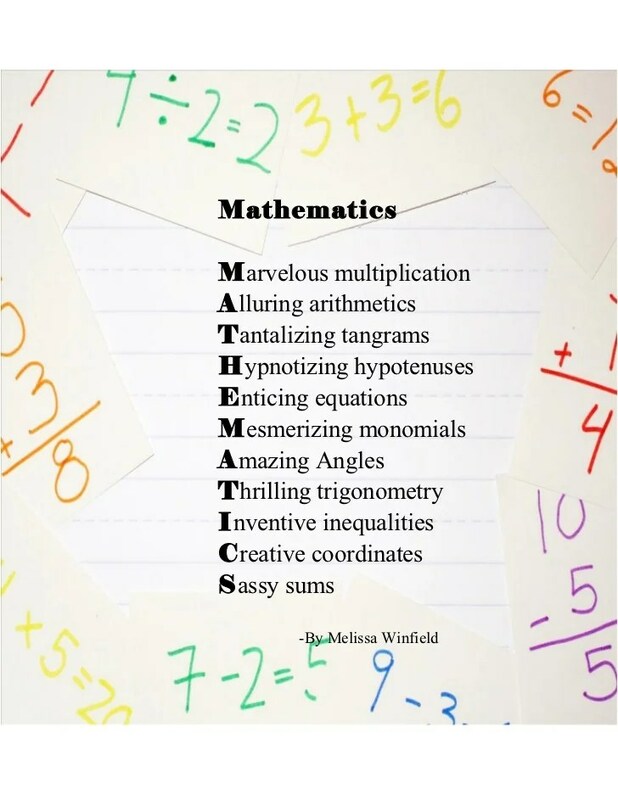 If you want to continue to have your child work on mathematics activities while on Spring Break check out some of the fun ideas you could do with them below. Here are some ideas that I found on the web that you could incorporate into your Math lessons to tie into the upcoming celebration of Valentine’s Day. Students Learning In Motion- Motion Geometry! 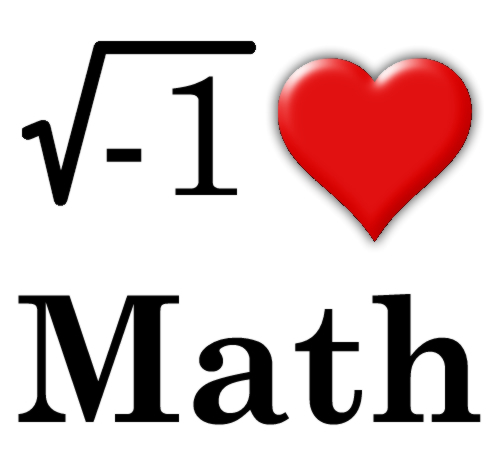 This month we embark upon the adventure of math learning in motion. (literally). Students are working through many transformation activities focusing on concepts such as translations (slides), rotations (turns), and reflections (flips). Although for some the terminology has changed since their younger years they are really enjoying the hands on activities using grid paper, dot paper, and manipulatives.